How did Easter egg hunts get so popular? Not so long ago, it seems, the Easter Bunny was content to stash a few Cadbury’s Creme Eggs among spring buds around the garden. Today, they’re multiplying like… erm, bunnies. Here’s a short guide to some of the best. Westport House (above) has been voted Best Family Visitor Attraction in Ireland by Primary Times magazine three years in a row. Why? Well there’s the Pirate Adventure Park, for starters. There’s also zorbing, zip wires, archery and combat games, not to mention the historic house (and dungeons) itself. An Easter egg hunt this Sunday sees Pinkie the Easter Bunny lead a search for eggs among the freshly blooming parklands, with the first 500 kids to finish getting a free Easter egg. If you fancy staying over, Westport House also has a camping park – a new online booking engine offers 5% off pitch prices, and there are combo deals for campers too. The Girls Club Cork Cancer Support Group has an Easter Egg Hunt planned at Ballincollig Regional Park from 2-5 pm this Sunday (April 20th). A bouncing castle, face painting and lots more surprises are planned, and the €5pp entry fee goes to a really great cause. 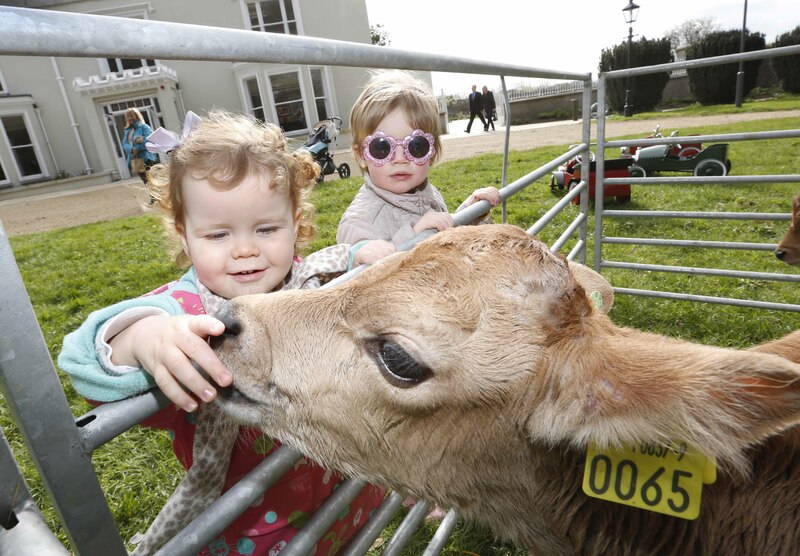 Meanwhile, the Irish Guide Dogs HQ is hosting an Easter egg hunt (€5) on Cork’s Model Farm Road. It runs from 12-2pm on Easter Monday, with lots of children’s entertainment to boot. It’s 1,000 years since Brian Boru banished the Vikings during the Battle of Clontarf. 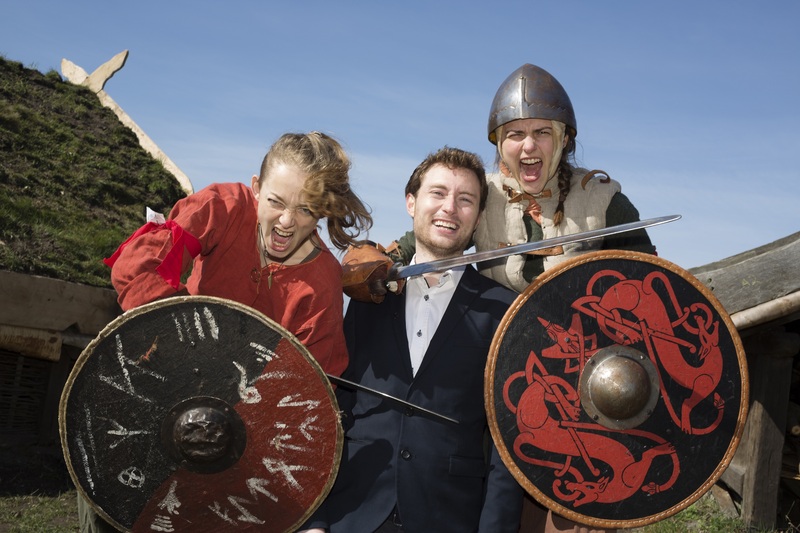 Anniversary celebrations see living history re-enactment in St. Anne’s Park, the largest ever held in Ireland with 40,000 visitors expected to watch some 500 modern-day vikings on the rampage. The Dublin suburb isn’t the only Irish location with links to the famous king. Killaloe & Ballina were the seat of Brian Boru’s Kingship in Ireland (1001-1014AD), and Easter sees a Welcome to the Vikings Weekend (April 19-20) with events including a Guinness World Record attempt at hosting the most Vikings in one place (bring your costume and horns!). Edward Cecil Guinness and Queen Elizabeth are among the famous faces to have stayed at Farmleigh, but this weekend, Bugsy the Rabbit is in residence. 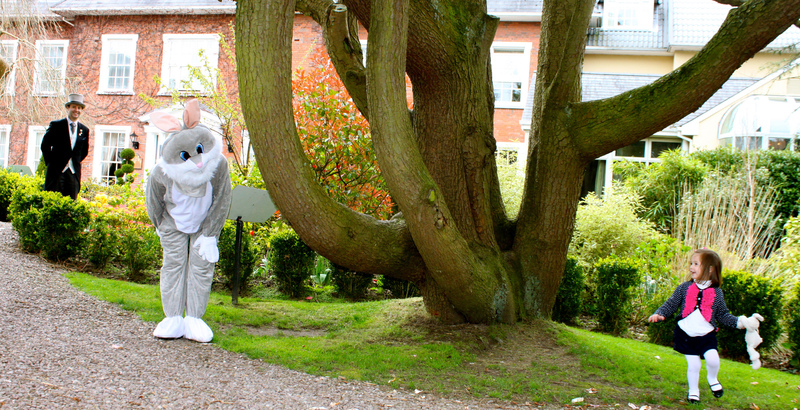 The house and gardens host a series of cracking events on Easter Sunday and Monday, including a magic show and face painting, as well as an Easter Egg Quiz Hunt with Bugsy. The quiz hunts kick off at 3pm, with sheets collected from the Wonderland Art tent, and entered to win an Easter egg once completed. Leahy’s has a monster egg hunt running this weekend, with the Easter Bunny dropping eggs continuously over Saturday, Sunday and Monday – so no matter what time you arrive there should be something to find (on arrival, every child gets a questionnaire and map of the farm). Another pet farm offering a little egg-stra this Easter is Stonehall in Kilcornan, Co. Limerick. It invites children to search for little chicks, which they can trade for Easter eggs. Limerick’s Strand Hotel has a good deal this Easter, with two nights’ B&B, one dinner, kids’ check-in with an Easter egg and a day pass to Bunratty Castle Folk Park bundled together from just €115pp, with kids under 12 going free. Accommodation is in a family room (490 square feet), and you’re close to the Milk Market, where a Mad Hatter Tea Party on Easter Sunday (11am-4pm) includes an egg hunt, face painters, DJs, and loads of games. Airfield has just reopened after an €11 million redevelopment (yes, you read that right). The reboot fulfils the vision of its former owners, the Overend sisters, who left Ireland’s largest urban farm to the State with a mission to reconnect people with food and the land it comes from. There’s loads to do here, from food gardens and a brand new cafe to an interactive heritage centre, vintage cars (including a 1927 Rolls Royce), play area and milking parlour. As well as watching animals being fed and hens’ eggs being collected, visitors over Easter weekend can join an egg hunt and felt-making workshops with artist Joanna Kidney. Details: airfield.ie; €10/€5pp (family rates available). There’s loads going on around Kildare this Easter, including egg hunts at the off-radar Lullymore Heritage & Discovery Park (April 19-25). The Park is a fascinating place to learn about the 10,000-year-old bogs in the area… with an indoor play area and its own fairy village too. If you’re looking for an overnight nearby, Carton House’s Easter break packages include an Easter Egg Hunt. They start from €195 per adult for two nights including B&B, one dinner and Easter Sunday lunch, with kids going free. The Grand National takes place in nearby Fairyhouse on Easter Monday… B&B with dinner and an entry ticket are priced from €99pps. Details: lullymoreheritagepark.com; from €7pp, cartonhouse.com; fairyhouse.ie. Sometimes, an egg just isn’t enough. If you’re looking for a real splash, check out the two-night Easter Break on offer at Hayfield Manor. The five-star Blue Book property has a chocolate and bubbles gift awaiting in your luxury bedroom on arrival, dinner a four-course meal in Orchids or Perrott’s Garden Bistro, and there’s an Easter egg hunt on Sunday morning. Details: hayfieldmanor.ie; from €496 per room. This article originally ran in The Irish Examiner.